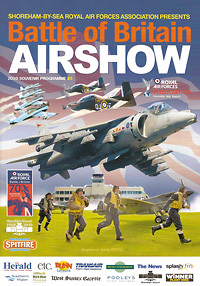 The annual Shoreham Airshow is always an highly anticipated event on the show calendar. 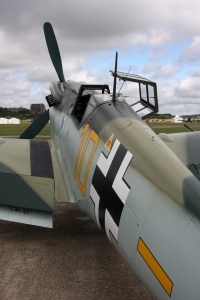 For twenty years it has seen some great flying displays set against relatively fair weather which has always allowed much of the flying to take place. 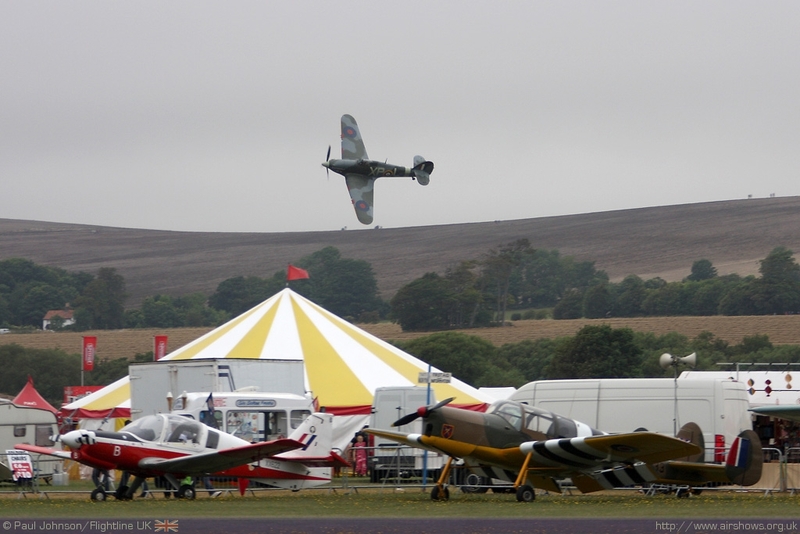 The 21st show however would be very different thanks to stubborn low cloud and rain that hung along the south coast all weekend not only causing problems for Shoreham, but also Bournemouth. 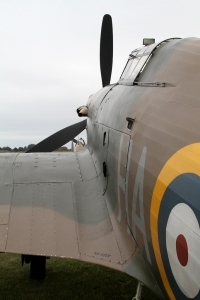 It was a difficult weekend for Shoreham in many respects, but show did go on and raise much needed funds and awareness for the Royal Air Forces Association Wings Appeal. Paul Johnson/Flightline UK is a volunteer at Shoreham and looks back on four days at Shoreham. All photography copyright of the Author. Video highlights courtesy of Planes TV. Planning for most shows takes the best part of a year in most cases, and Shoreham is no different. A wash up meeting is held a few weeks after the last show's dust has settled to highlight the good and bad points of the show as well as to settle a date for the next show. 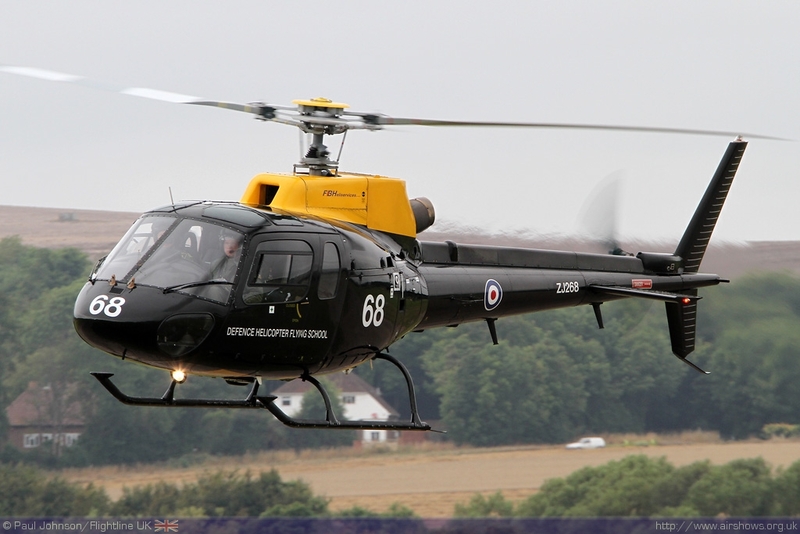 Setting dates for airshows these days is not easy; the RAF is always in high demand throughout the summer as are many of the civilian acts. 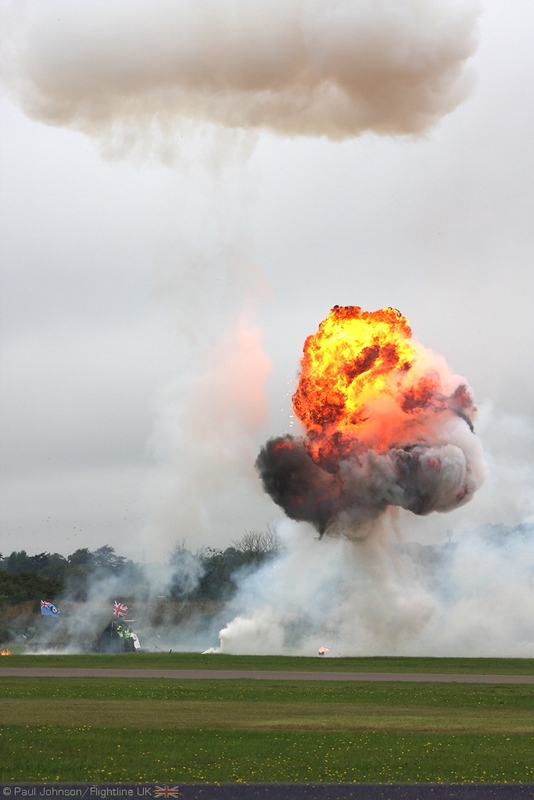 The wrong clash can cause all number of problems for an airshow organiser. 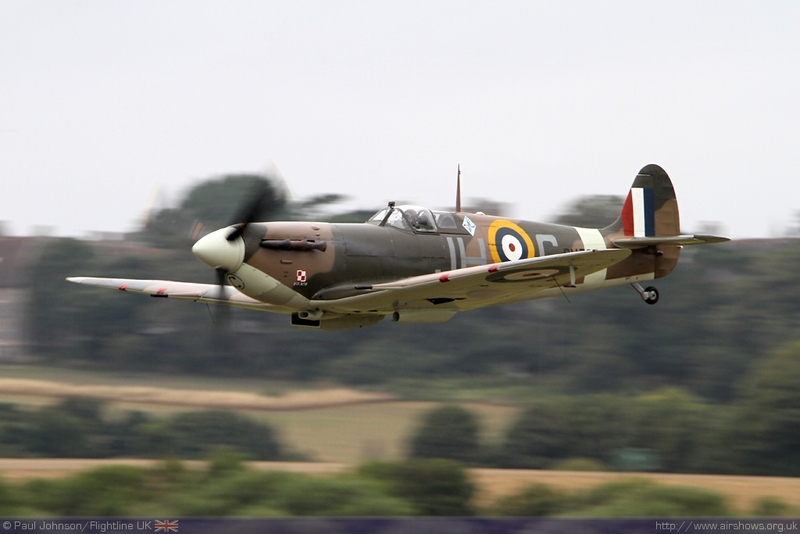 For the last couple of years, Shoreham has shared its dates with the large seaside airshow at Bournemouth. 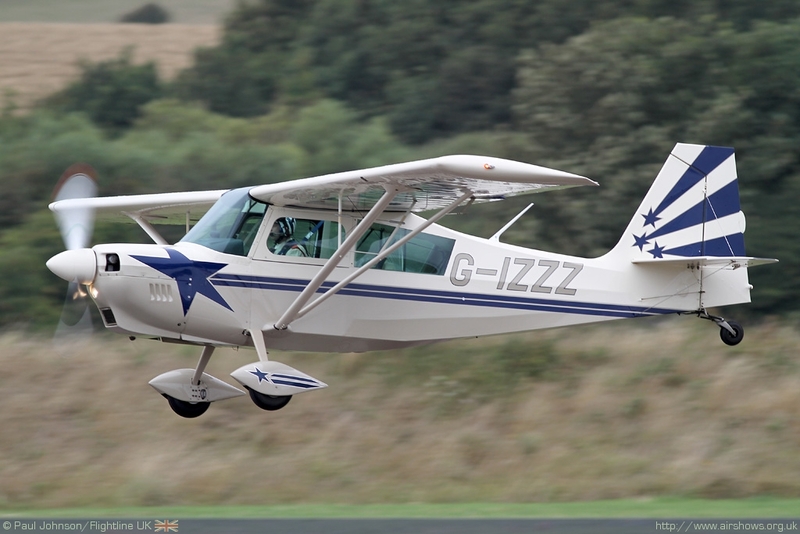 While it can cause a few small difficulties, on the whole the relationship works well though for the first year, the number aircraft on the ground at Shoreham became somewhat smaller than the norm! This is something Shoreham's organising team led by Don Bean MBE had been keen to rectify for the 2010 show and ultimately they were very successful! 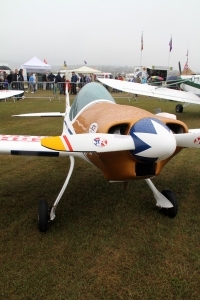 Don leads a small team who work in the airshow office throughout the year arranging everything from the aircraft displays through to the ground shows, traders and advance ticketing. 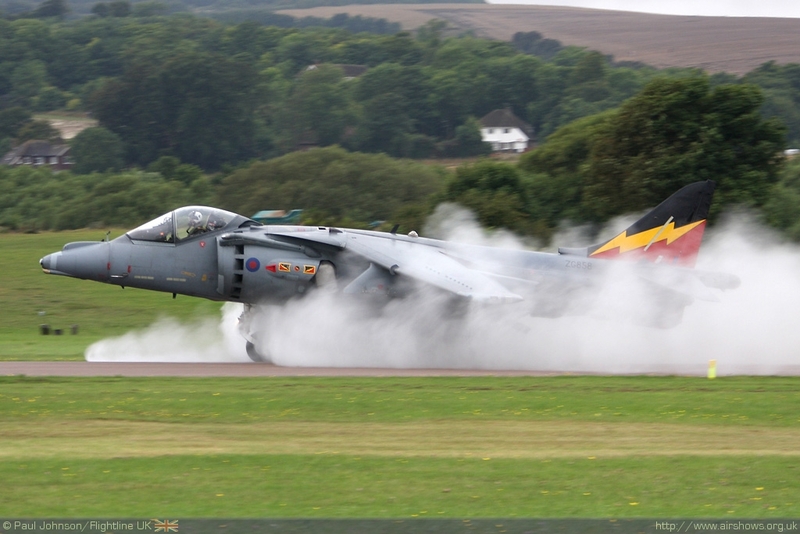 Pretty much 90% of the work done in putting on an airshow is never seen by the public. 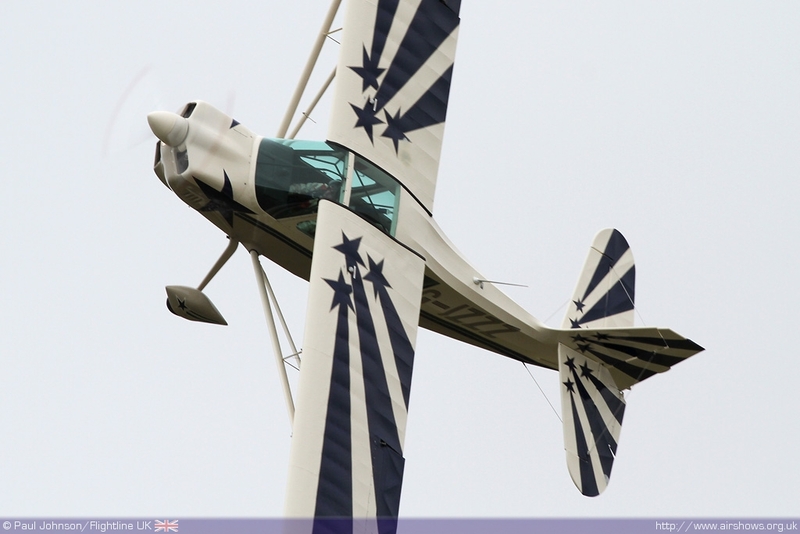 There are also regular Airshow Committee meeting held at the airport throughout the year leading up to the event. 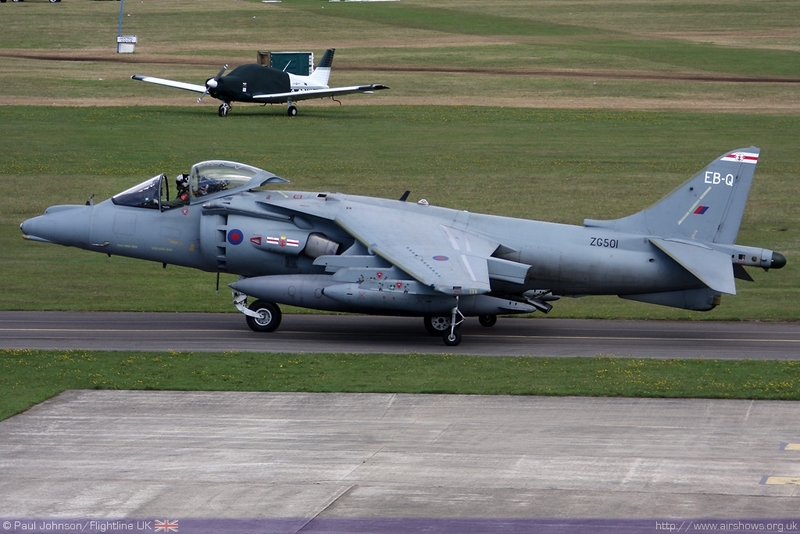 However the first signs of the airshow starting to happen start in the three weeks leading up to the show. First, the grass over the showground areas has to be cut back and the limits of the show area marked out. Much of the airfield remains active but about a week before the airshow the first few marquees to be erected that form the central executive area of the show. 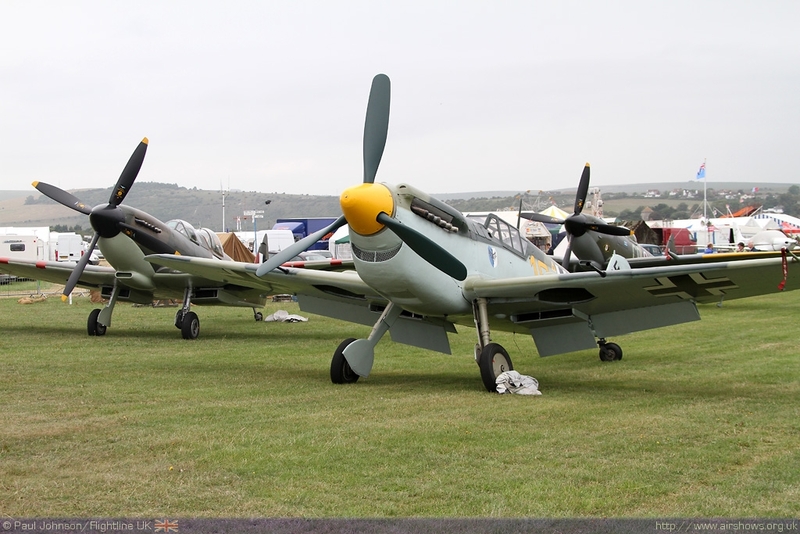 The first major activity happens just a week before the main airshow with the "Press Day." 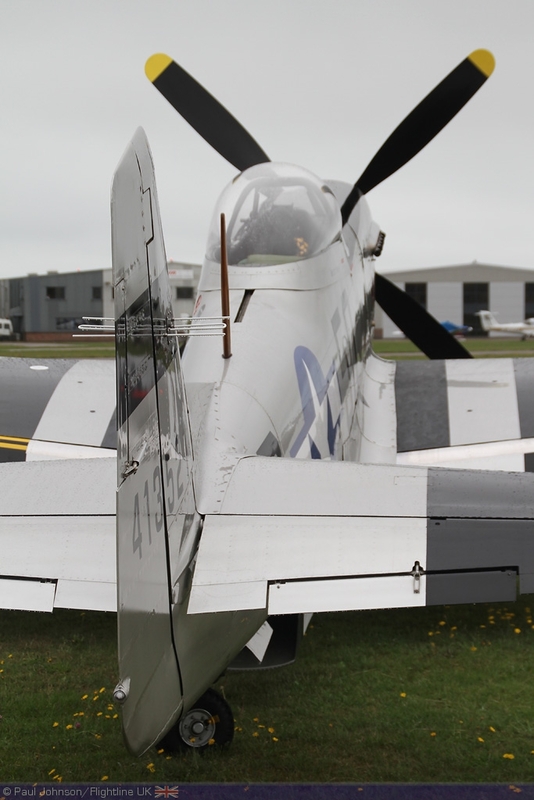 The Day is a chance for the show to announce the main attractions to the press with some of the aircraft turning up for flying and static displays. 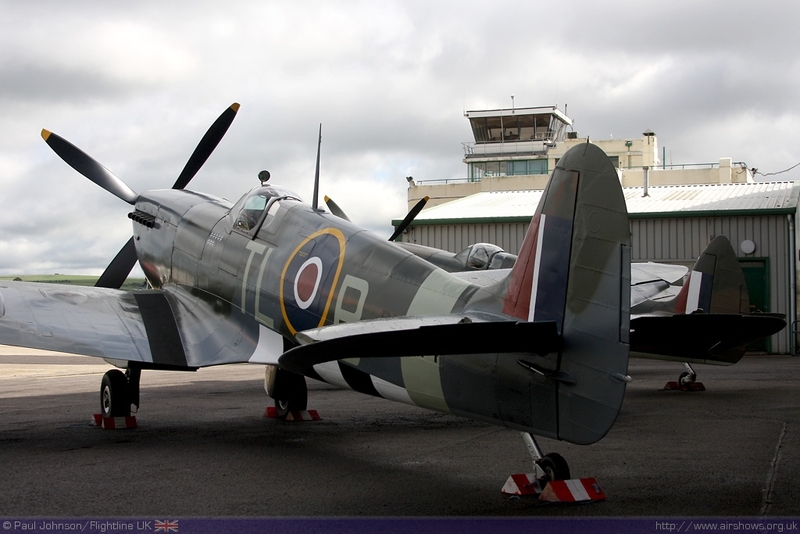 It's usually a very busy day as it coincides with the Eastbourne Airbourne show which uses Shoreham as one of it's bases. You can read more about the 2010 Press Day HERE! By the Friday before the show, the showground build is almost complete as I arrived for the show. The showground was busy with the fencing volunteers laying out the metal fencing that separates the public from the airside areas and traders were busy constructing their stands. For the airshow, I'm part of the show's Media Team who are not only responsible for photographing the event, but also providing live-side escorts for visiting media representatives as well as looking after the media centre and any other duties that may occur throughout the show such as pushing aeroplanes into position to driving participating pilots around! 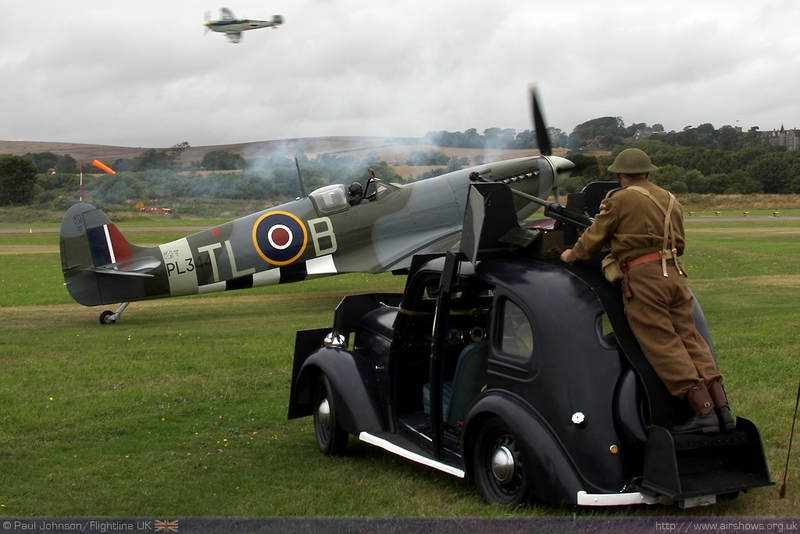 It's usually great fun and a very social way of "doing an airshow!" The first point of call for the weekend is a briefing in the Airport Terminal Cafe for a light snack before anything happens. Friday this year was a big day for the show. 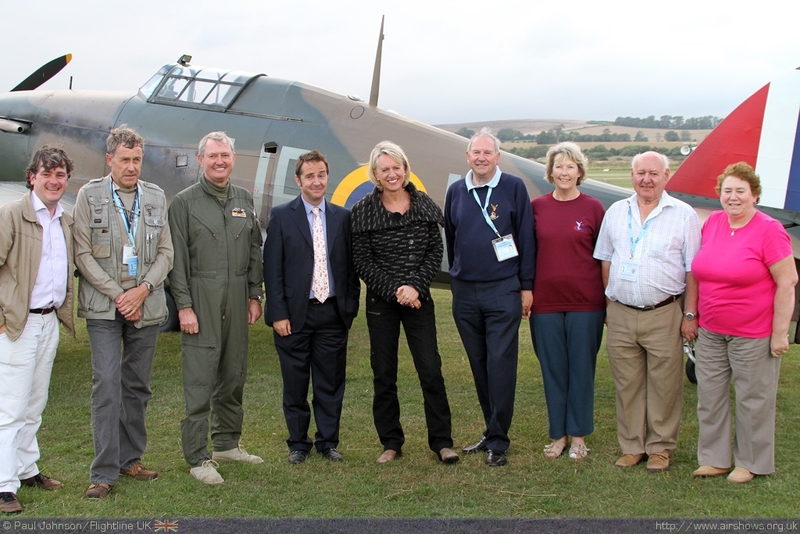 BBC South were filming their 6.30pm regional news programme live from the show as part of their Battle of Britain 70th Anniversary season. 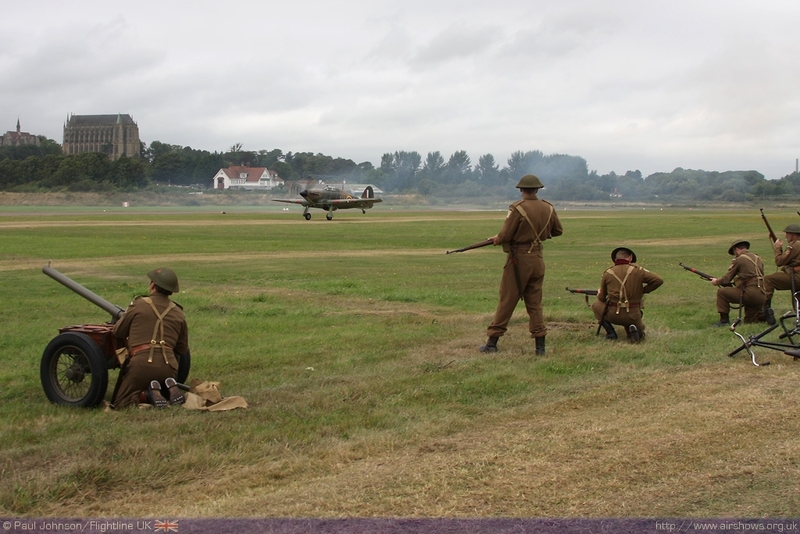 Te backdrop for the filming was a number of Spitfires, Hurricanes and a Hispano Buchon (Bf109) parked up in front of the traditional re-enactment area where Dad's Army amongst others set up their "camps!" Arrivals Day can be a bit quiet at times so there was ample opportunity for some banter and to capture some of the arrivals on film or memory card! 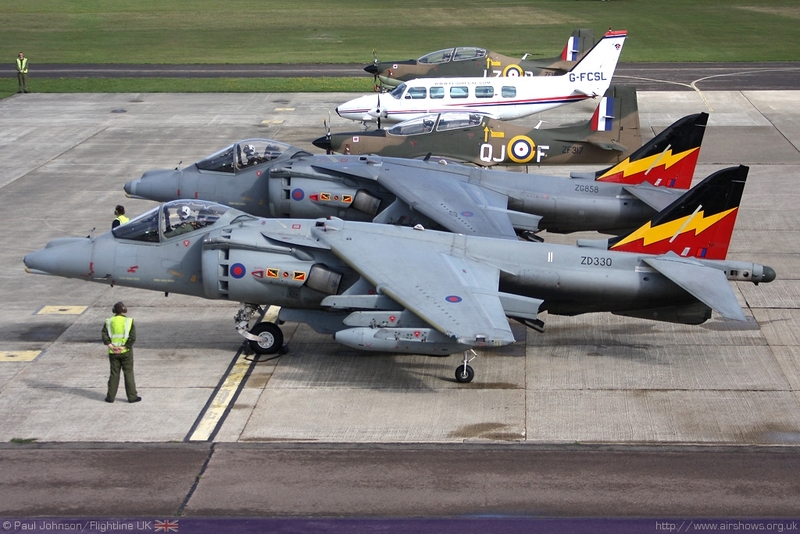 Of course, the most anticipated aircraft to arrive were the Harrier GR9s from 4(R) and 41(R) Squadrons. 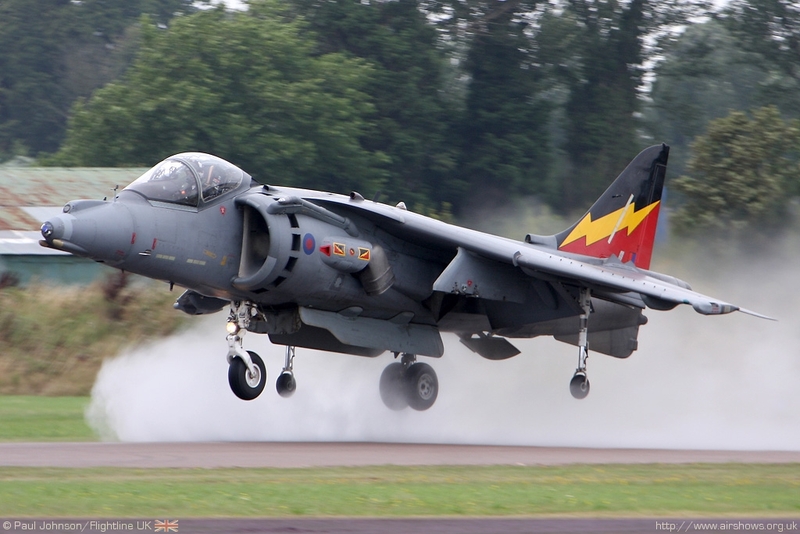 We were delighted to be able to welcome a static 41(R) Squadron Harrier last year and it returned again for 2010 alongside the Harrier Display Team. 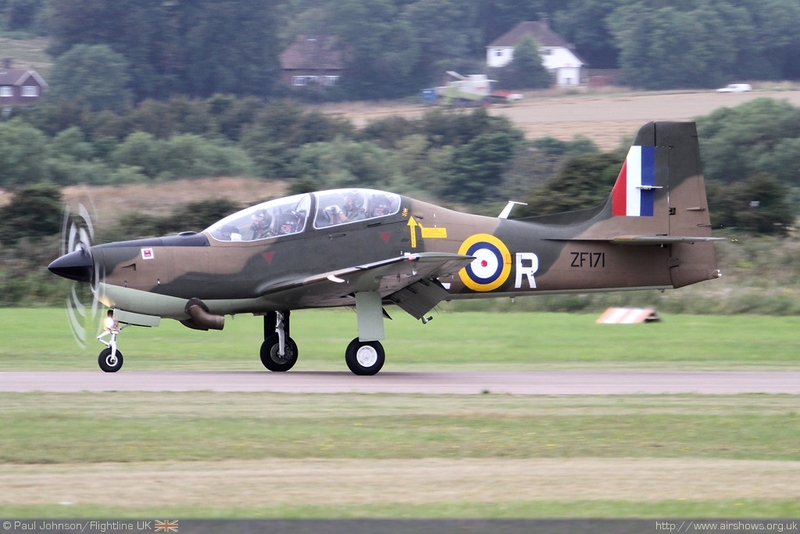 The RAF threw in a couple more surprises. 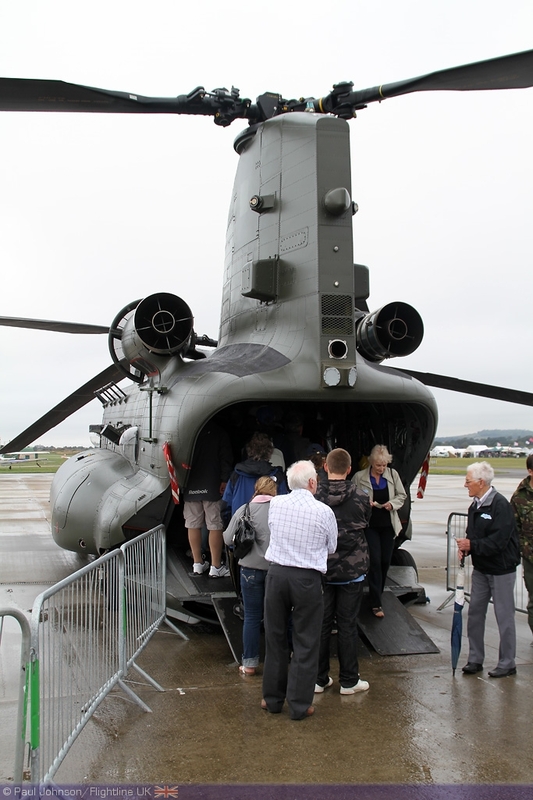 First of all was the static Chinook which turned in a new Chinook HC3 making one of first appearances at a UK show. 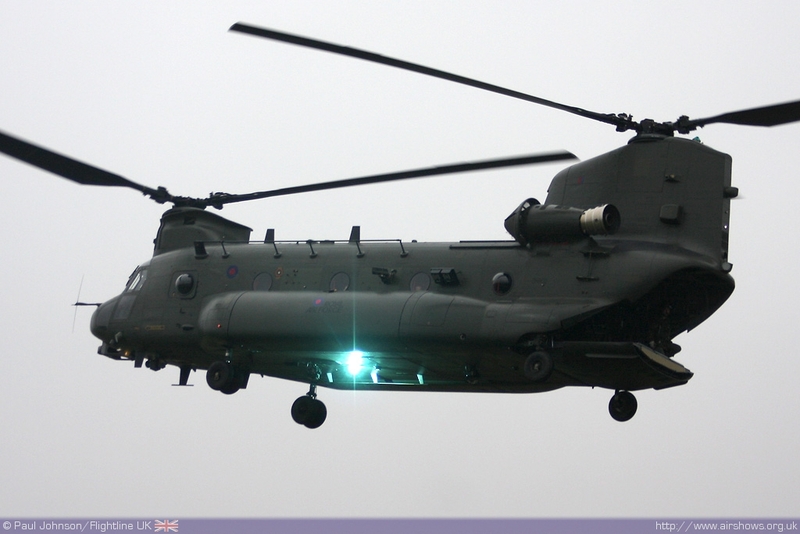 A further surprise was a second Chinook HC2 arriving an hour later with the correct tow bar for the Mk3!!! ! 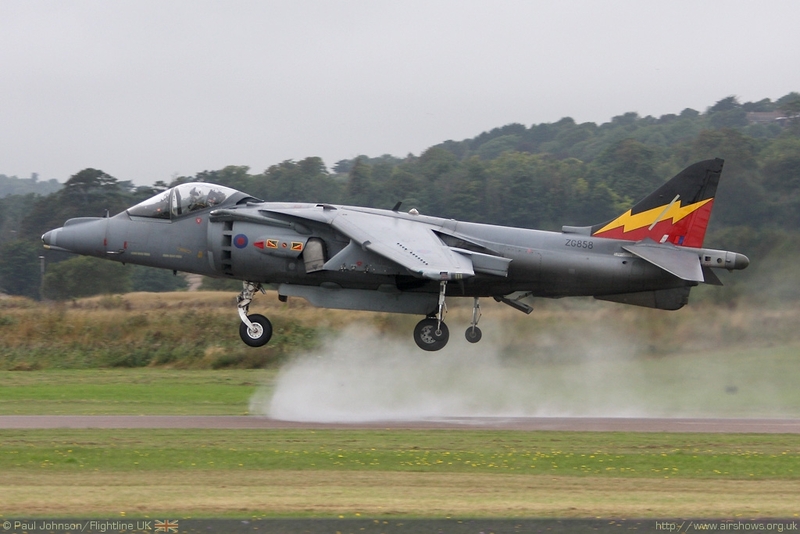 Arrivals day was also popular for the public visiting the terminal and I don't honestly remember it being so busy, thanks largely due to the return of the Harriers I suspect! 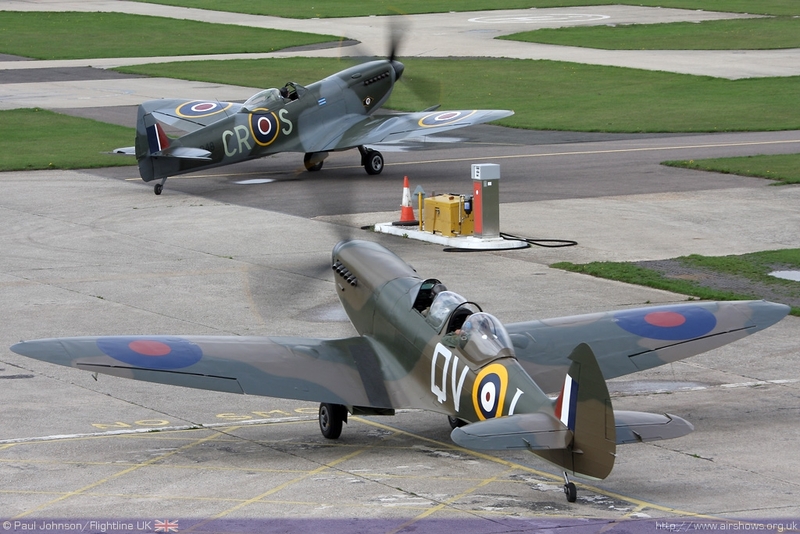 As the day wore on, more and more aircraft arrived under the overcast before the sun finally broke through in time for the live TV broadcast. 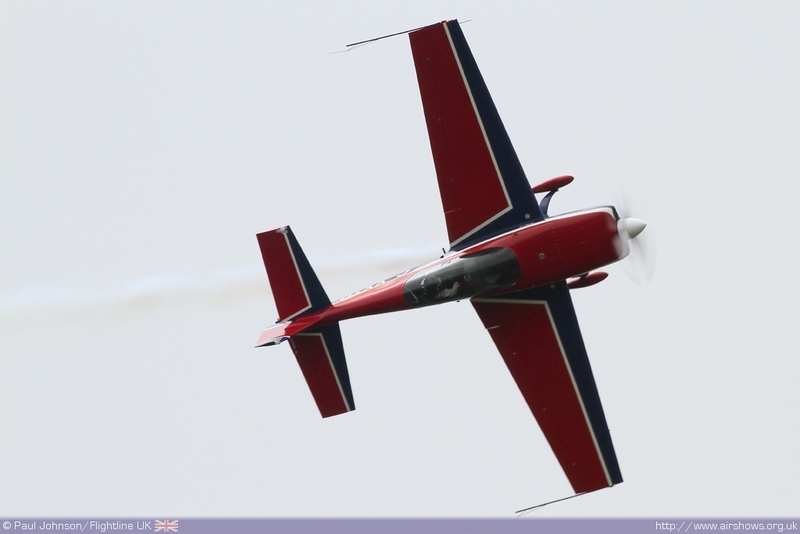 It was a stunning bit of PR for the show, so much so that the airshow's own web server crashed under the heavy traffic load following the programme! Saturday morning dawned on a very grey note and the view from the airport terminal really was not promising. 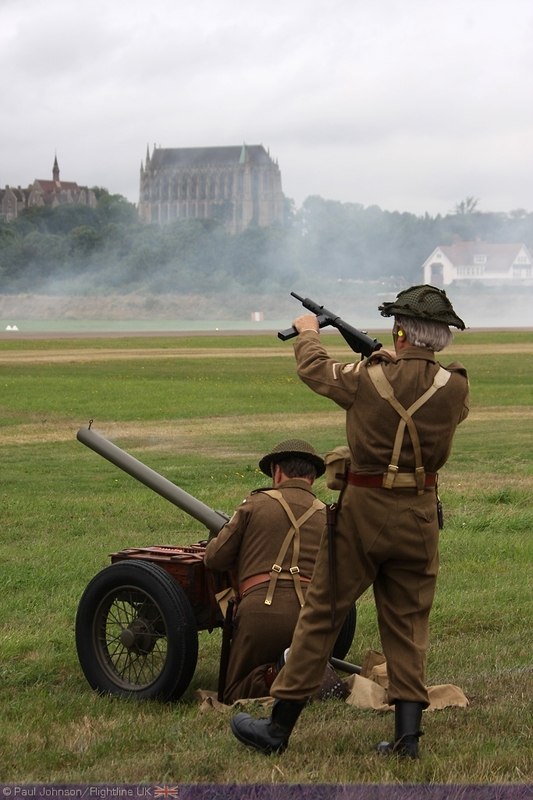 Heavy grey clouds hung menacingly over the downs obscuring Lancing College and the famous cement works on the Stenying Road. 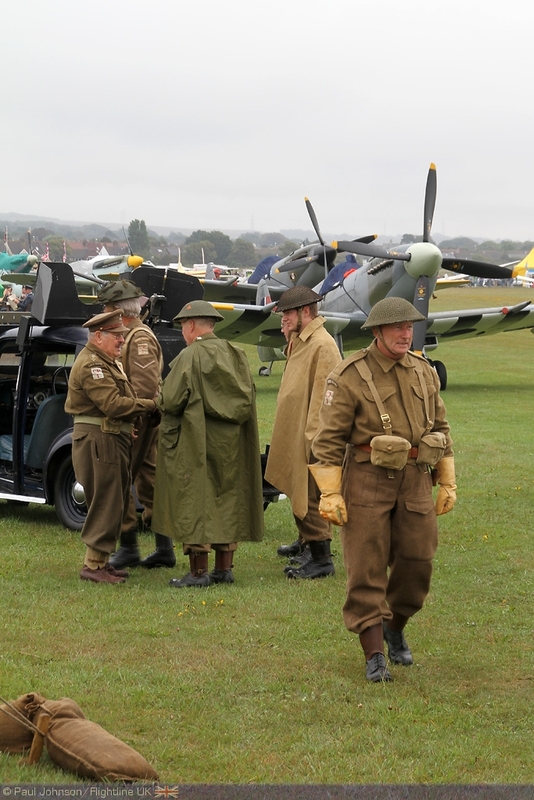 However, the traffic coming into the show was relatively busy which was good to see. Looking out to see, it did look a lot brighter to the South and hopes were high that most of the display could happen but for the moment a lot of pilots and aircraft were stuck at their airfields waiting for gaps to appear. 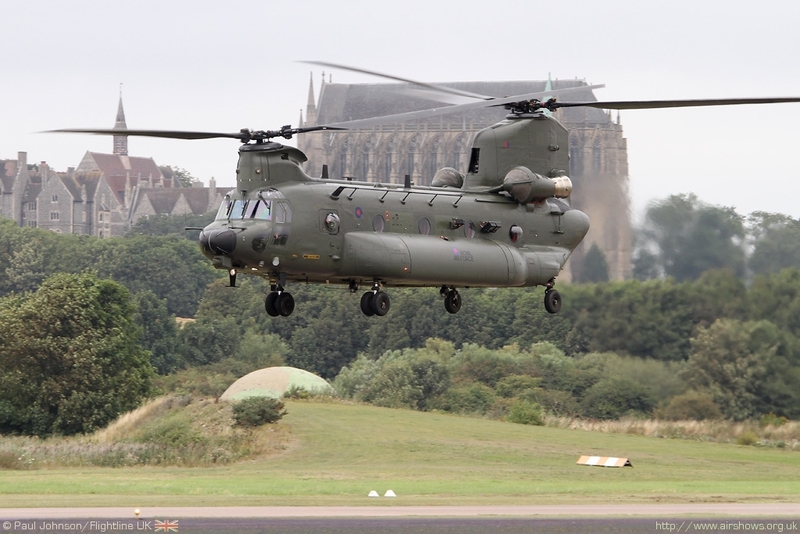 The worst news came from Bournemouth Airport which was stuck under the same cloud and was hosting many of Shoreham's participants too. 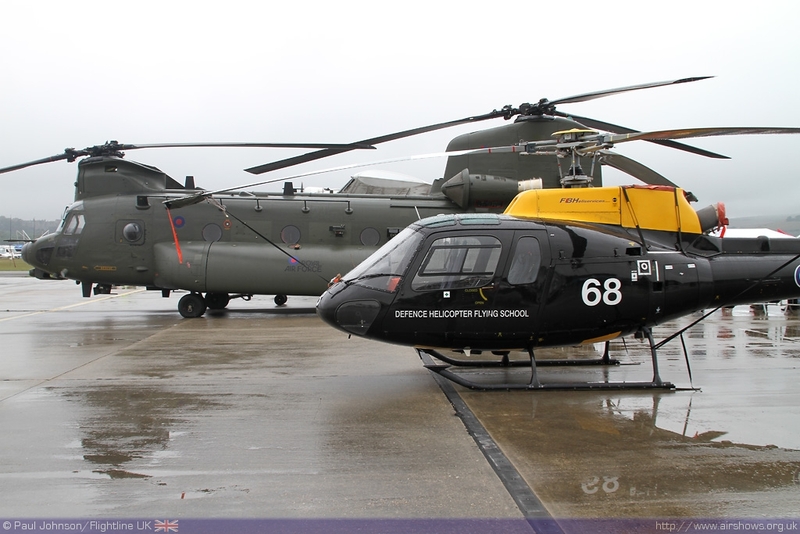 The poor weather was stopping operations there too seriously affecting the Air Festival as well as Shoreham. 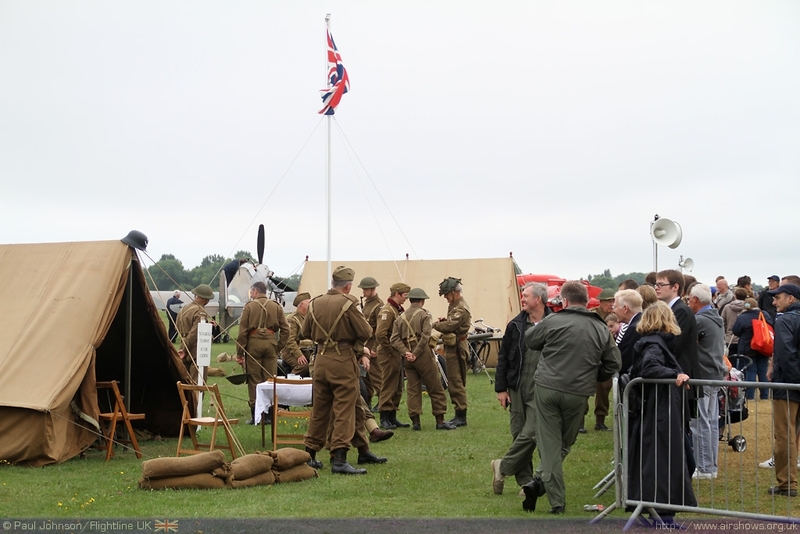 In the lull, the showground was busy with people visiting the various trade stalls as well as being able to visit the Chinook HC3, DC-3 Dakota and Catalina which were all open to the public. 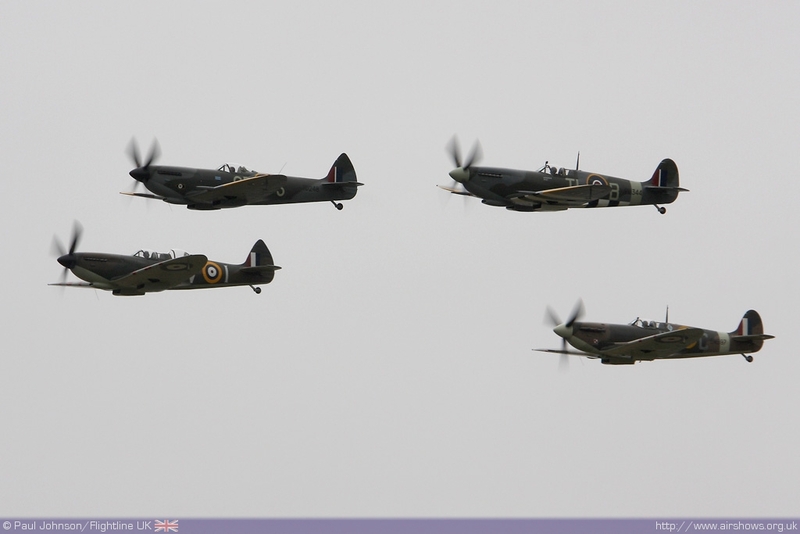 For the pilots and flying display director however it was all eyes to the skies watching the cloud slowly lift. 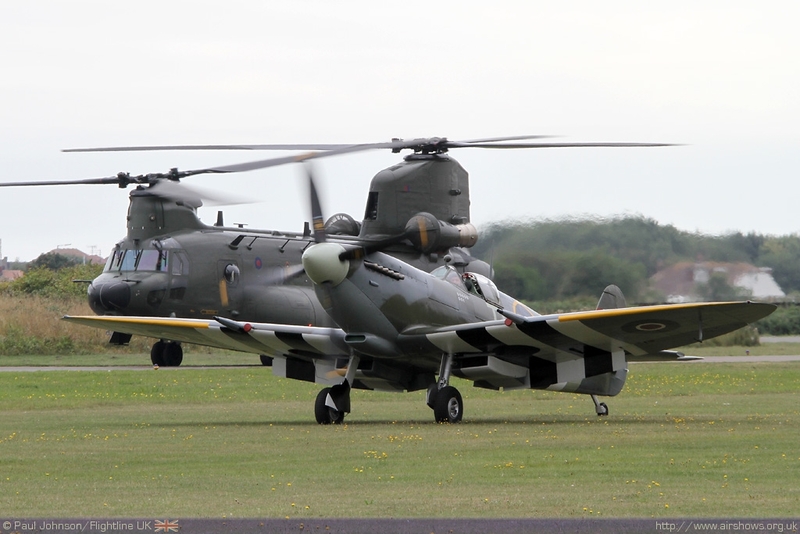 Eventually it lifted enough to allow the Twister Duo to arrive from nearby Parham Airfield - a huge cheer went up as the pair arrived from the north, smoke pouring from the engines! 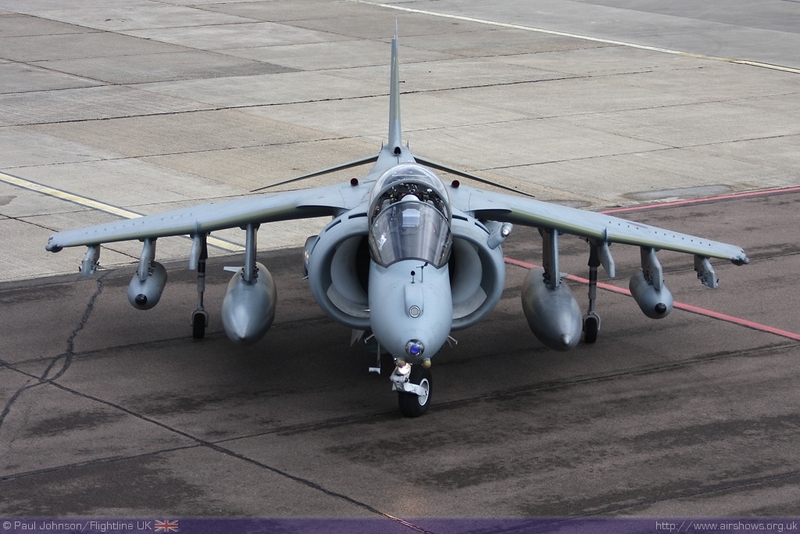 There would be some flying after all! 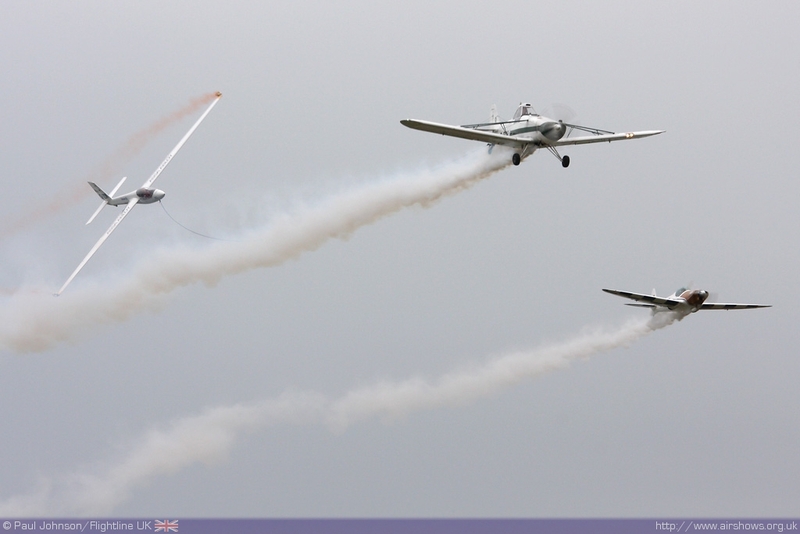 The flying display eventually got underway a little while later with the Twister Duo who just managed to squeeze their full display under the cloud base in challenging conditions. 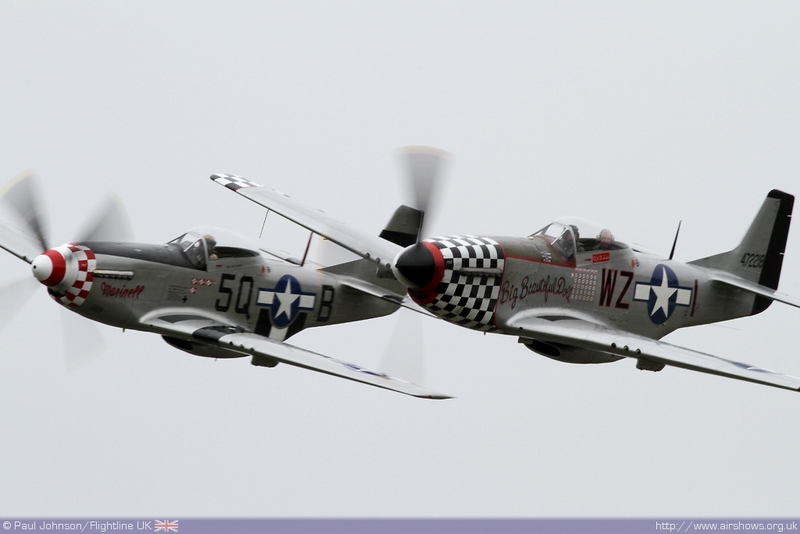 This first display opened the way for many other acts to fly and even arrive as did the P-51D Mustang pair from Maurice Hammond and Rob Davies. 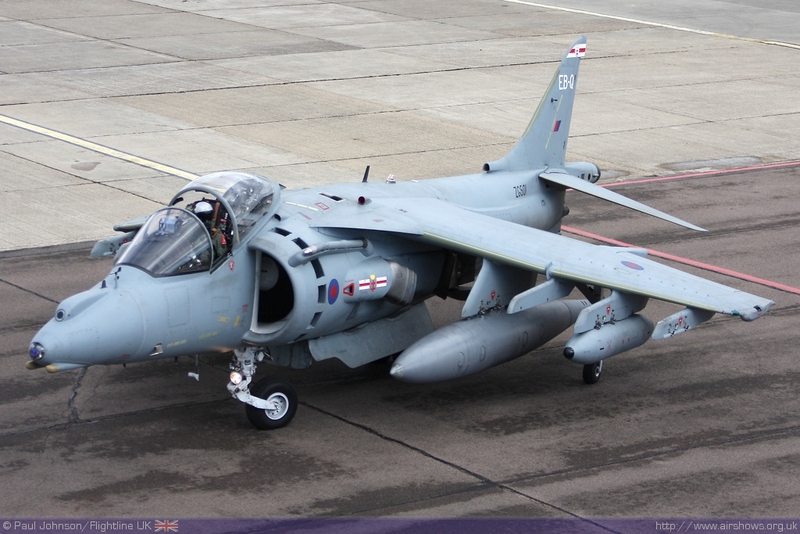 Star of the weekend however was the RAF Harrier GR9 which managed it's hovering display on both days. 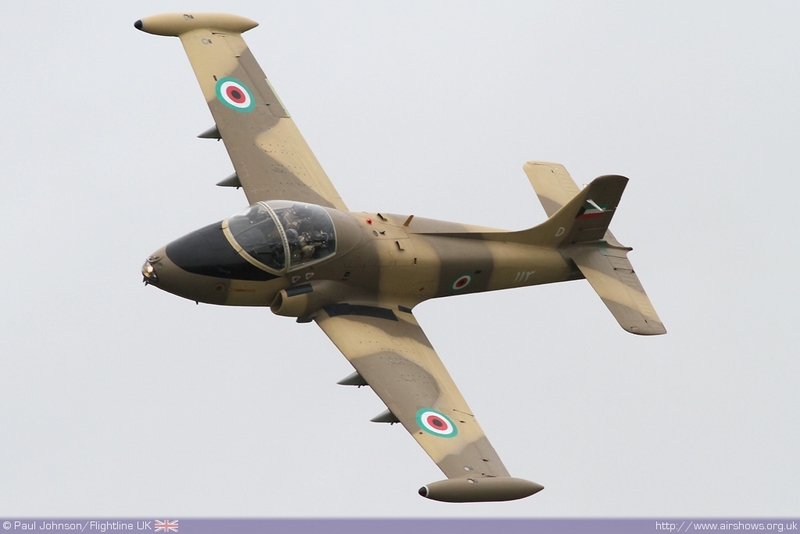 The sight of the V/STOL jet over Shoreham was most welcome and it's one of the best airshows to see the jet display in my opinion. 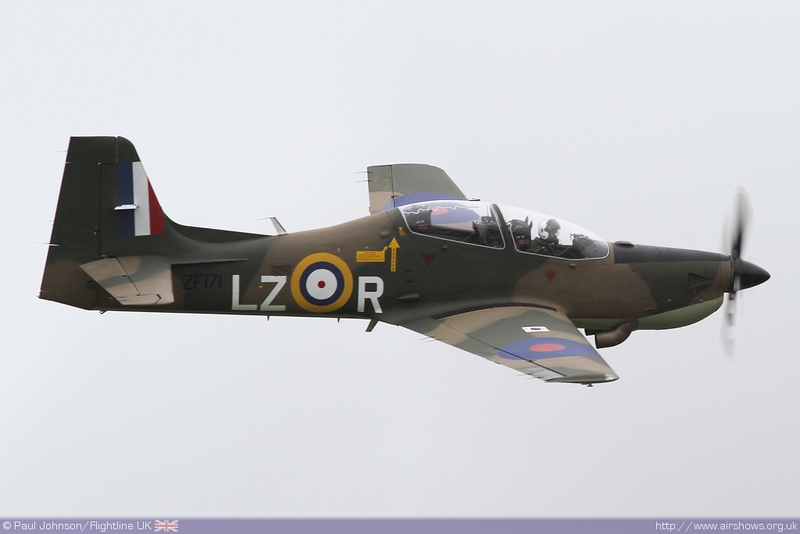 Also displaying on the Saturday was Flt Lt Tom Bould in the Tucano in its Battle of Britain markings who did a sterling job displaying under the low cloud. 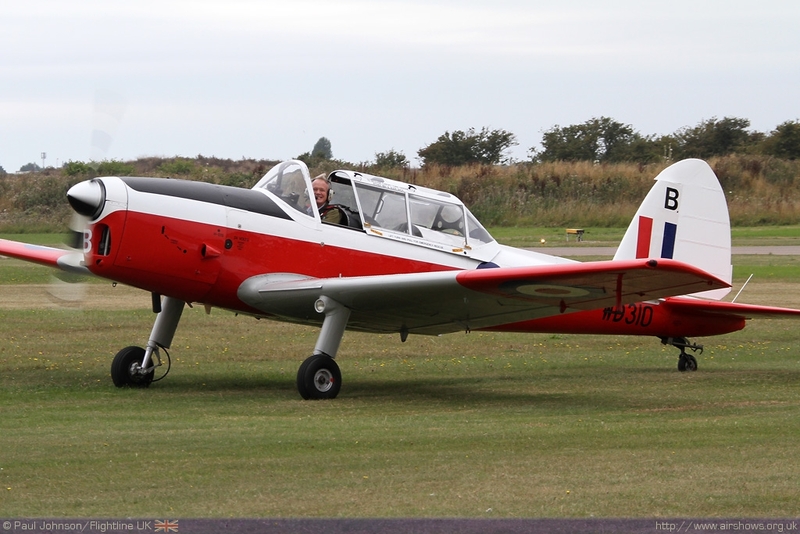 Putting on a very impressive performance under the clag was Tom Moloney in the Strikemaster. 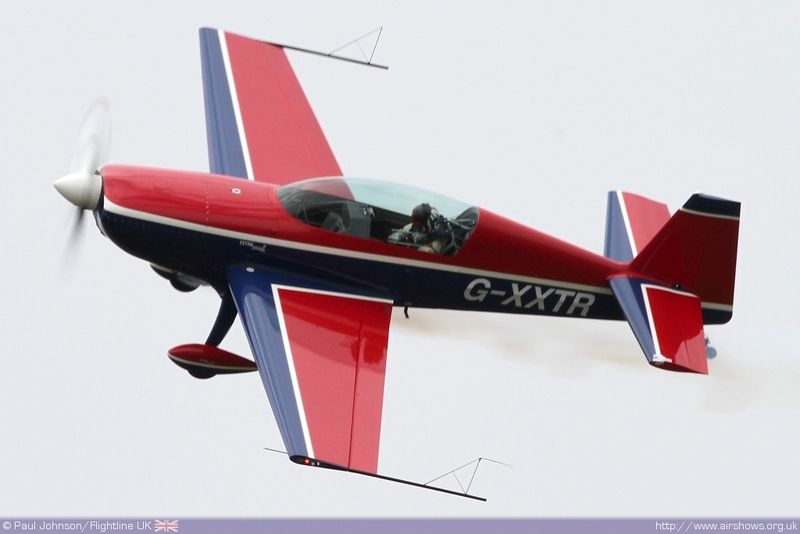 It was too low for aerobatics, but his sweeping passes were great, even producing vapour over the wings. 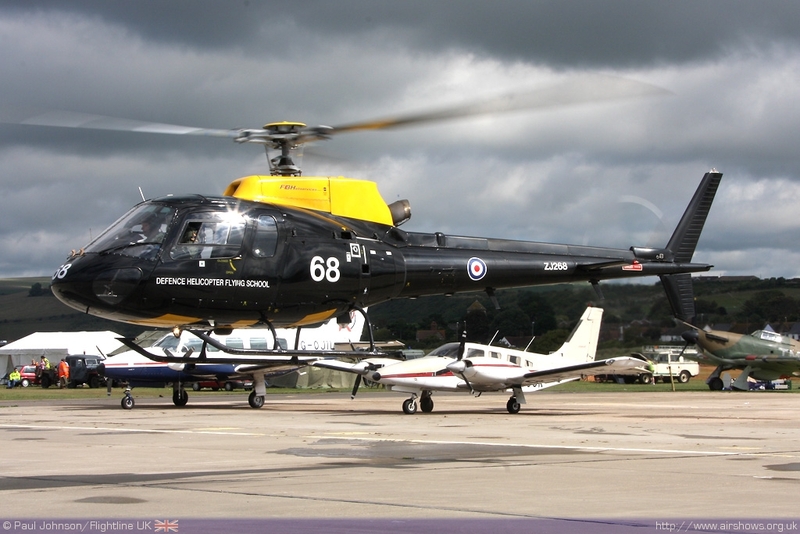 The locally bases Sussex Police MD900 Explorer also managed to display as well showing the tremendous agility of the aircraft off to the visitors. 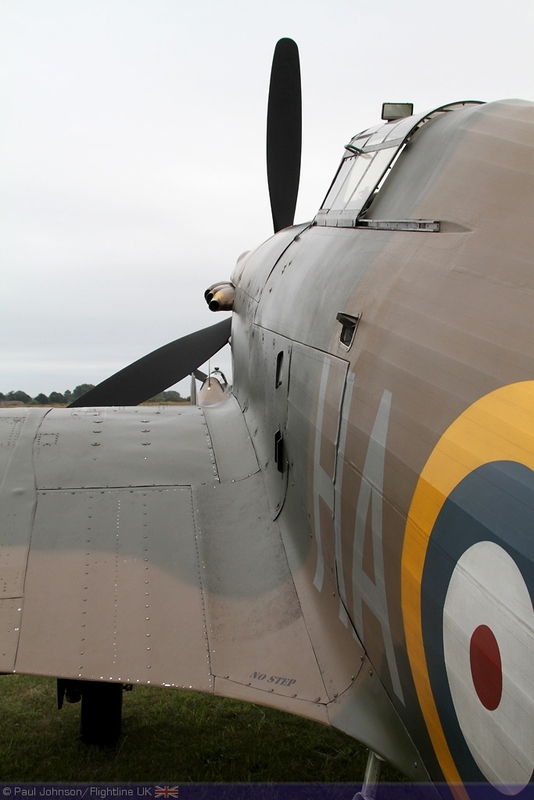 Understandably, although flying was underway there were a few gaps in the flying as aircraft were forced to cancel. The frustration was being felt by everybody, but at least some flying did take place. 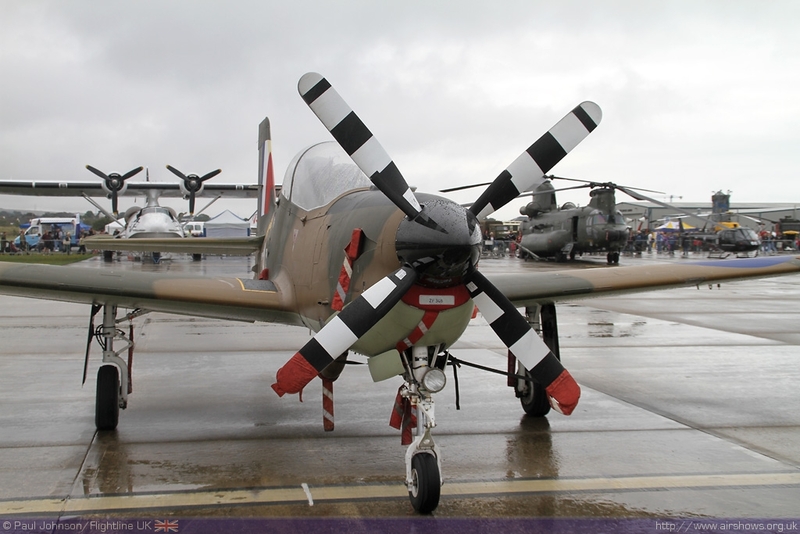 American heavy metal was representing by the PBY-5A Catalina and the pair of P-51D Mustangs. 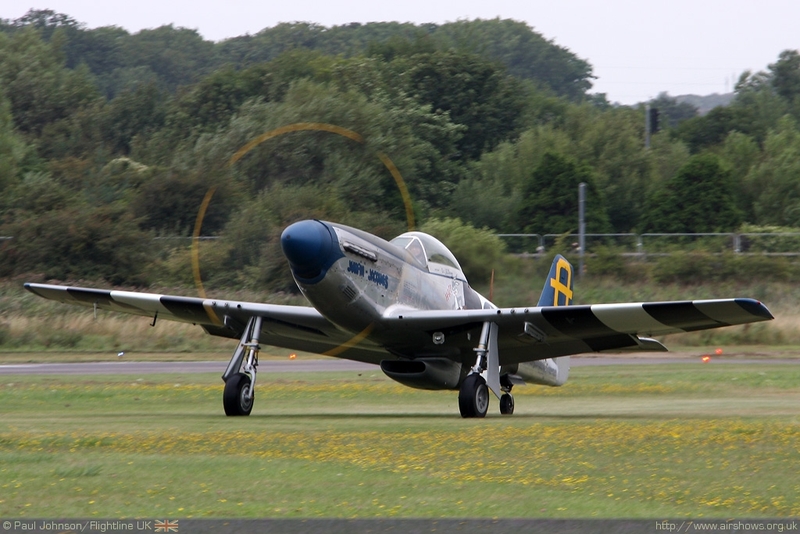 A further P-51D, Peter Teichman's “Jumpin Jaques” left during the flying display for its home base at North Weald. Local acts were also bale to take part. 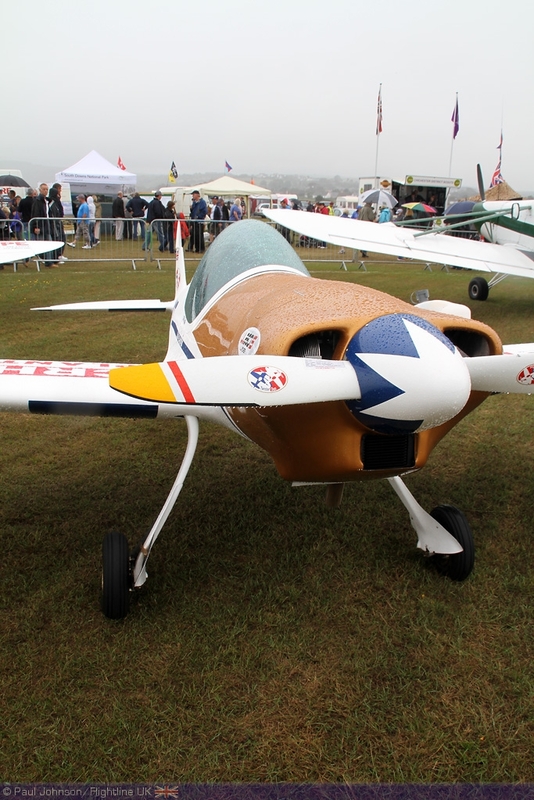 John Drake displayed his North American Harvard while Justyn Gorman flew two displays; the first in his familiar Extra 300L and the second in Phoenix Flying's Decathlon. 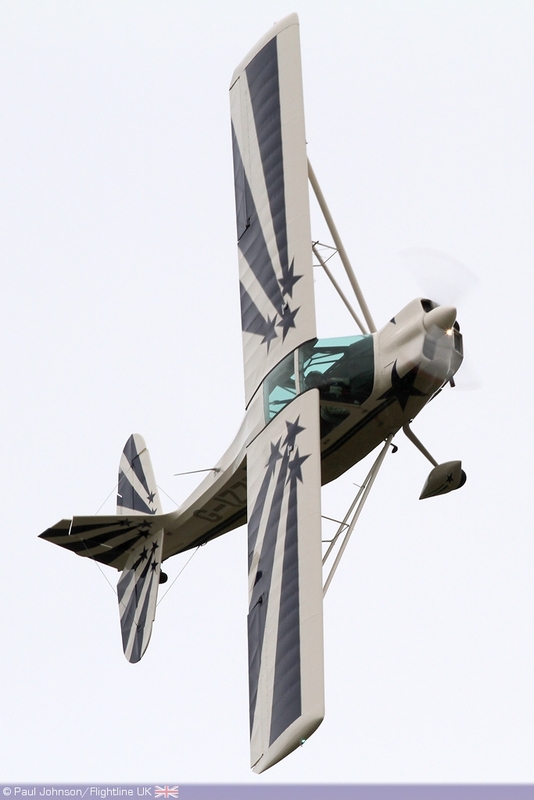 The latter was the reserve display but was a superb demonstration of this rather unlikely aerobatic aircraft in which Justyn was able to knife-edge down the crowd line very well! 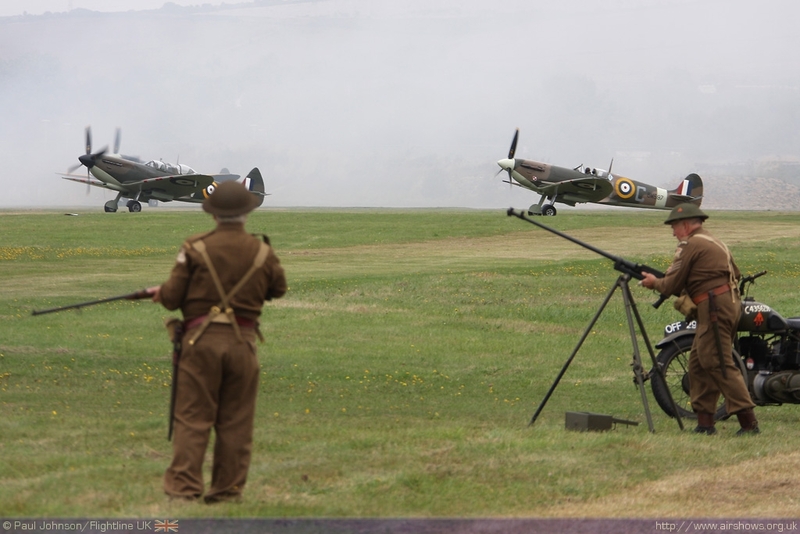 The main highlight of any Shoreham Airshow is always the "Battle of Britain Scramble Scenario." 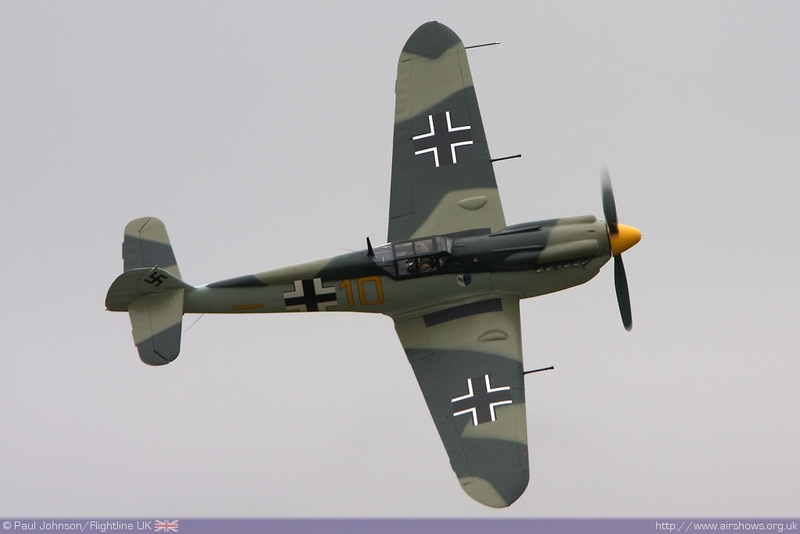 Most of the participating aircraft in the scenario had made it through the weather on the Friday and the sequence was designed and started by John Romain flying the Hispano Buchon (Bf-109) attacking an encampment on the far side of the airfield. 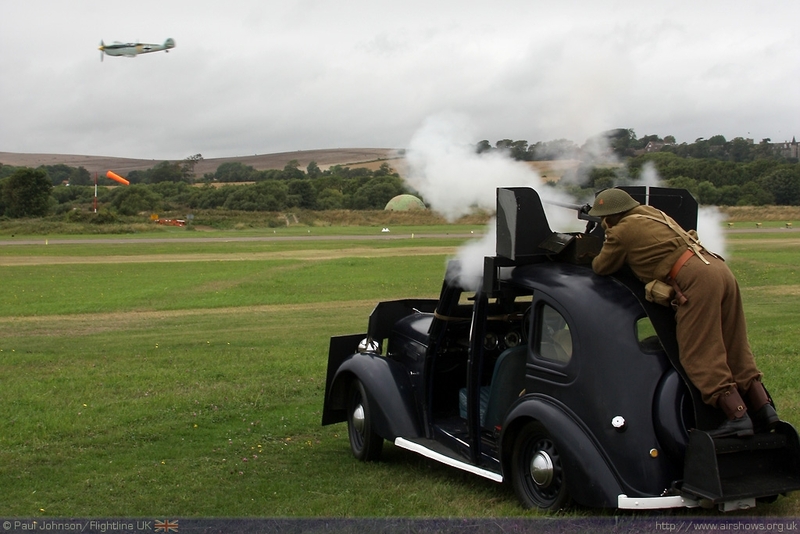 Hurricanes and Spitfires were soon scrambled to fight off the invader as Dad's Army took a few pot shots from their armoured car and field gun! 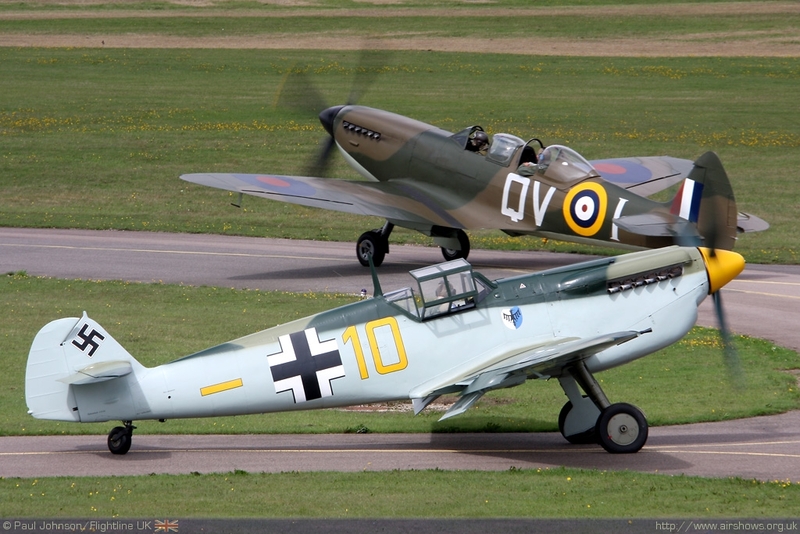 The highlight of the sequence was a stunning dogfight between the Bf109 and Charlie Brown flying HAC's Spitfire V which showed off a number of fighter tactics to the appreciative crowd. All in all, this is still one of the best set piece displays on the display circuit. 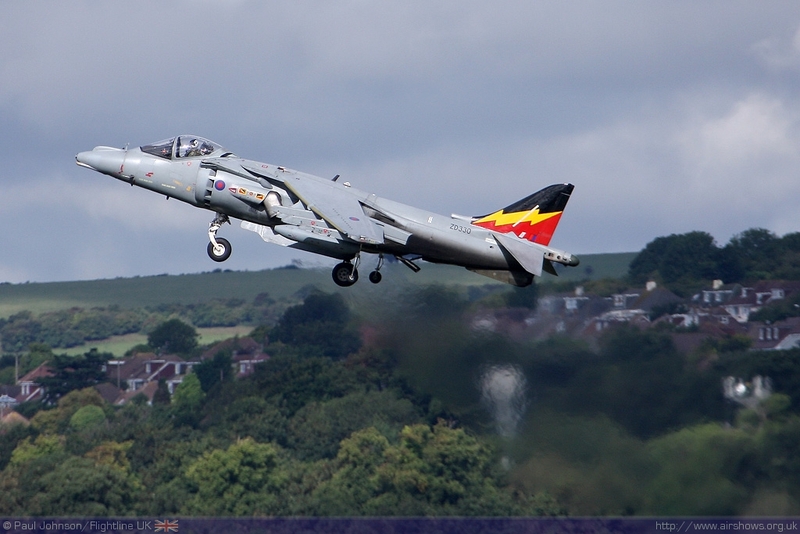 Many have tried to copy it, but Shoreham's remains the best! 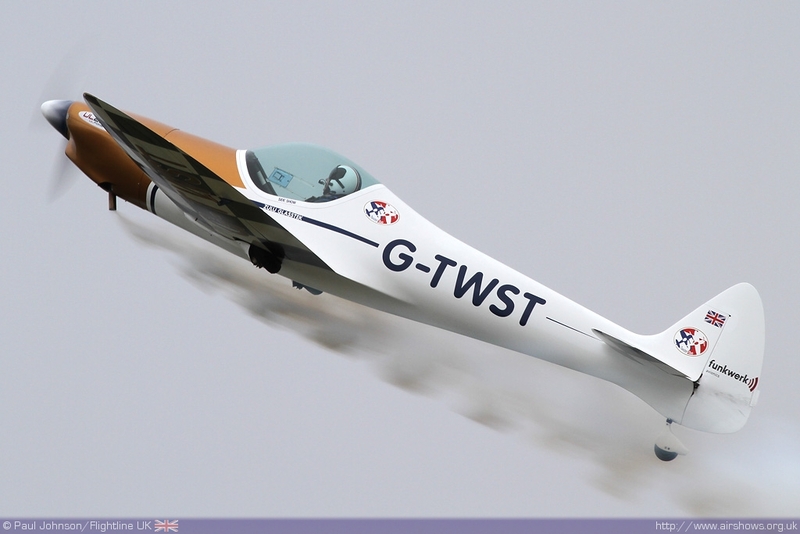 Saturday's show was closed by the Swift Aerobatic Display Team with Guy Westgate flying the Swift Glider, Paul Moslin in the PA25 Pawnee and Pete Wells in the Twister. 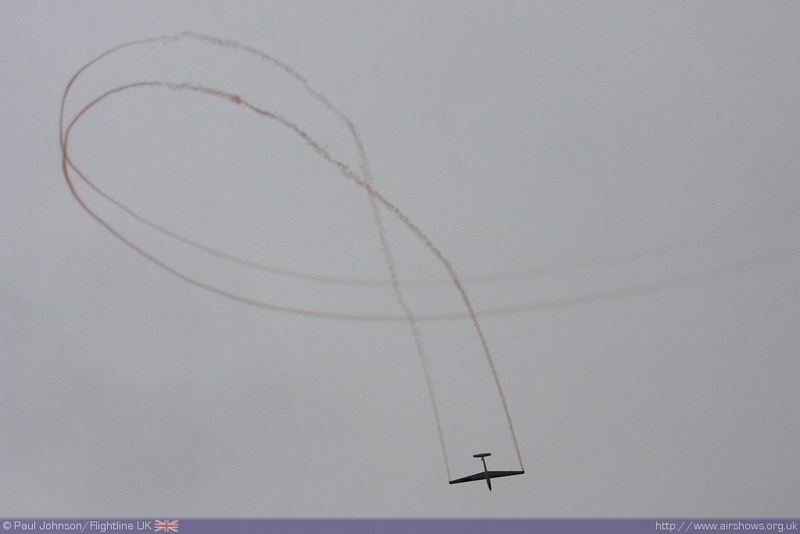 Though the clouds remain low the team finished the show off in fine style with their full routine. 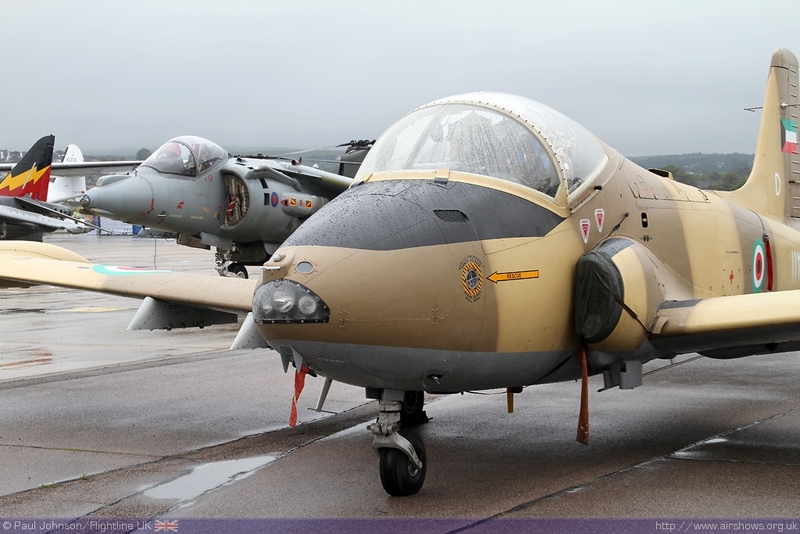 While it was certainly a disappointment that many displays had to be cancelled including the Vulcan and a joint flypast by the Red Arrows and Battle of Britain Memorial Flight, in a way it was a triumph over adversity that there had been a display at all!! 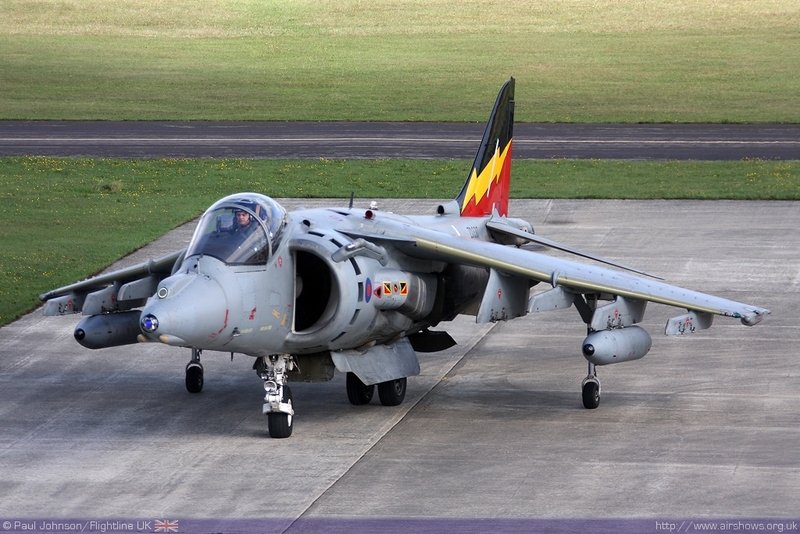 Saturday evening was a chance for everyone to relax at the airfield in the relative quiet. 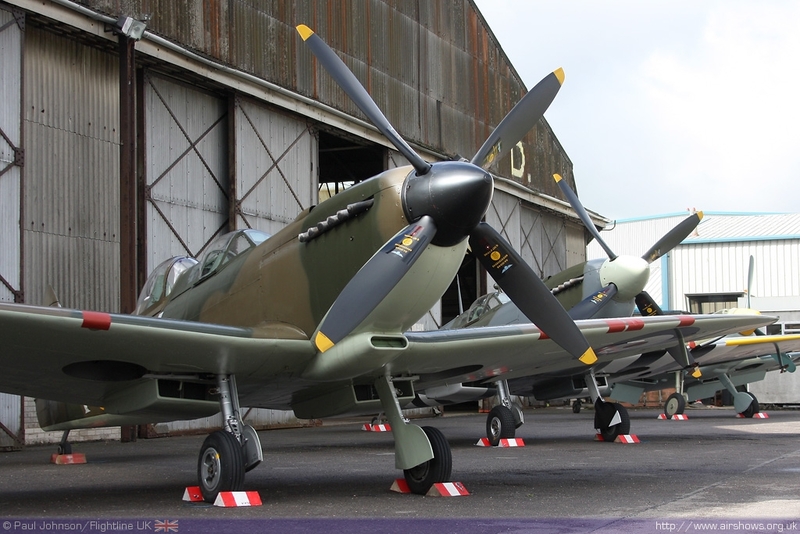 There are a few parties held at the airfield over night in the hangers as well as the hospitality areas. Even some of the traders got in on the act flying some very eye-catching kites illuminated by LEDs as the light faded away! Sunday started full of hope. At breakfast time the view from the Terminal looked better and out to see there was the occasional patch of blue sky. 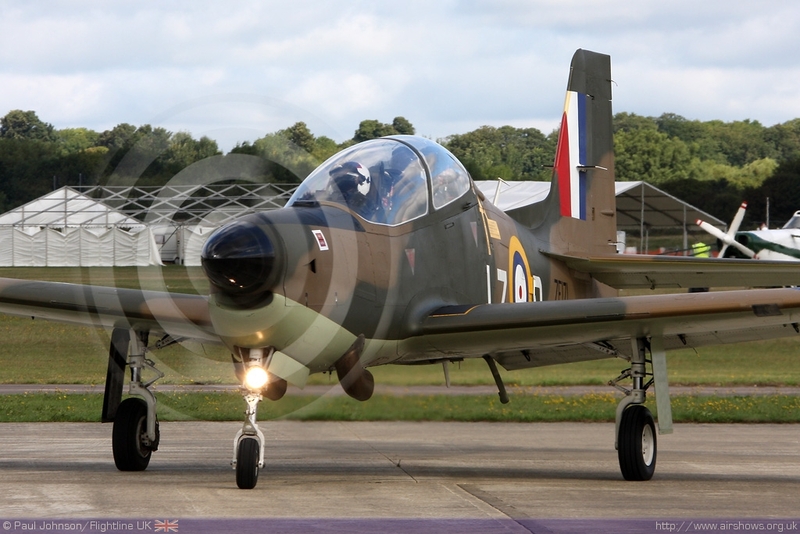 The Pilots Brief too was very positive with all the scheduled acts waiting for the weather to clear so they could get over to Shoreham. 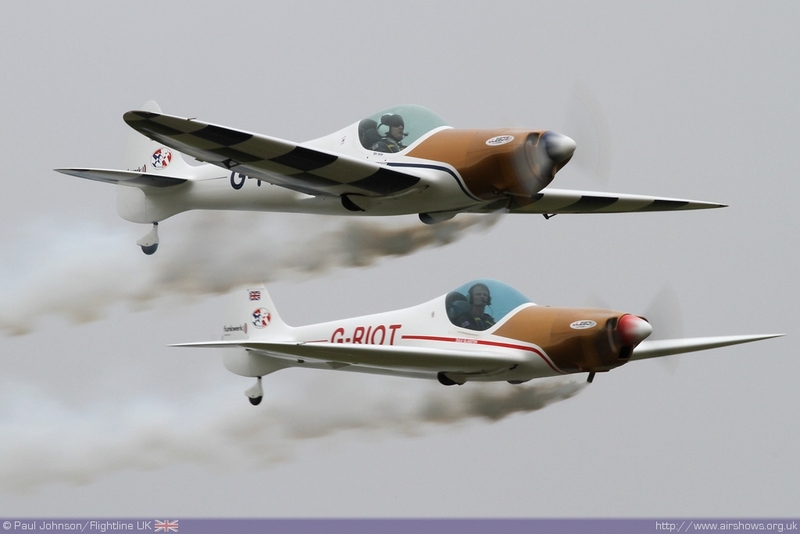 Flying eventually got underway on time too with a combined display by the Swift Aerobatic Display Team and the Twister Duo. 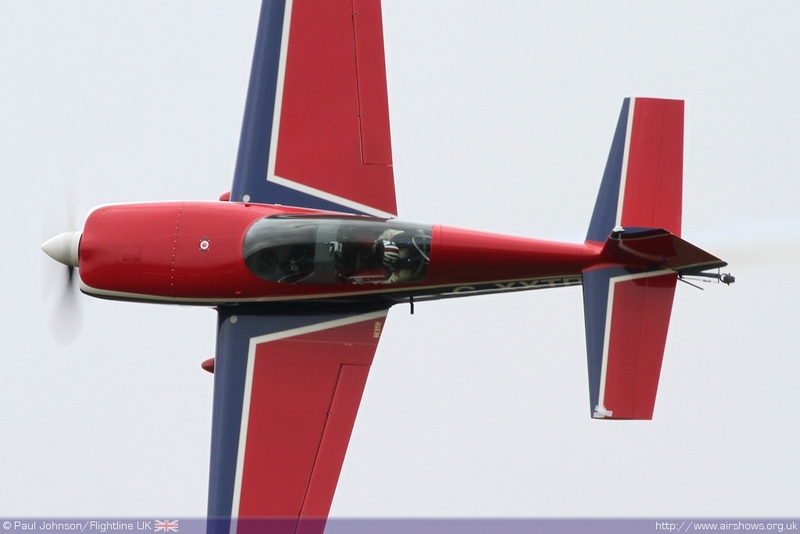 Sadly it ended rather abruptly after the Swift Glider flown by Mike Newman suffered an accident on landing. 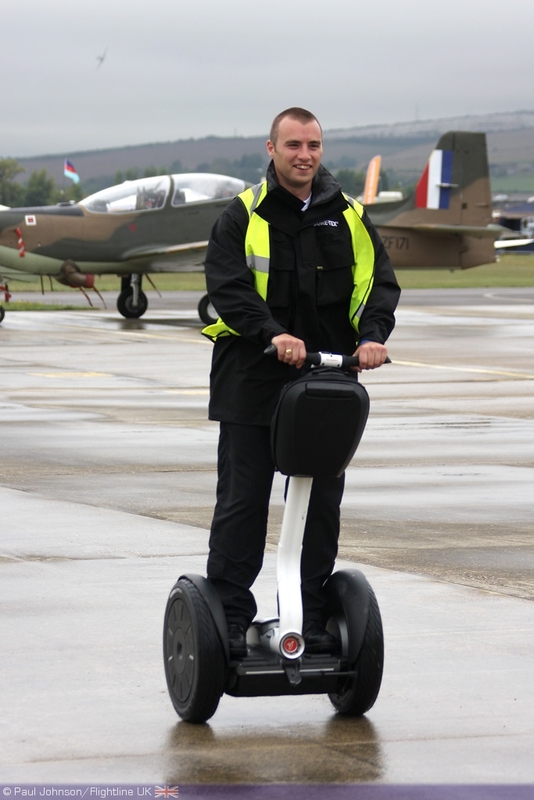 Though the glider was damaged, Mike was able to extract himself from the aircraft before the Emergency Services arrived. Mike suffered three fractured vertebrae in the accident, and we wish all the best for a full and speedy recovery from the accident. 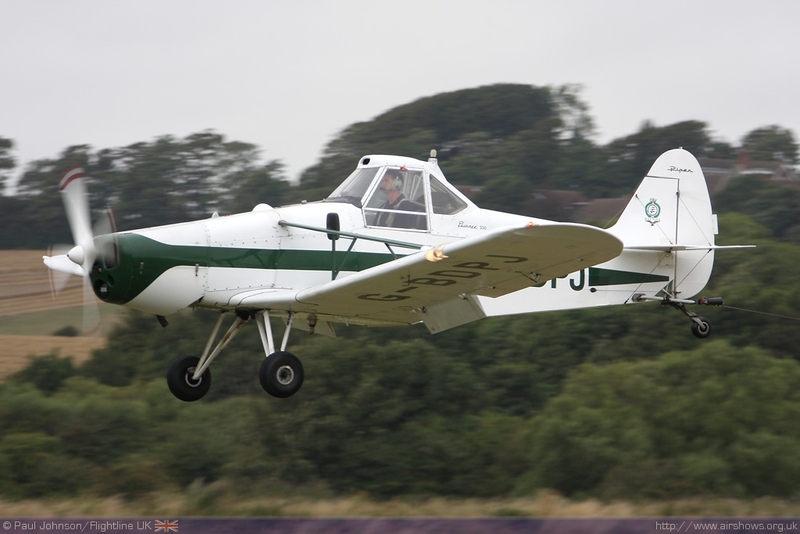 The accident did cause a hiatus in the flying while photographs were taken for the subsequent investigation and the glider was removed from the runway threshold. It was also becoming apparent that the weather would not clear the South Coast again causing huge problems for not only Shoreham, but Bournemouth too! 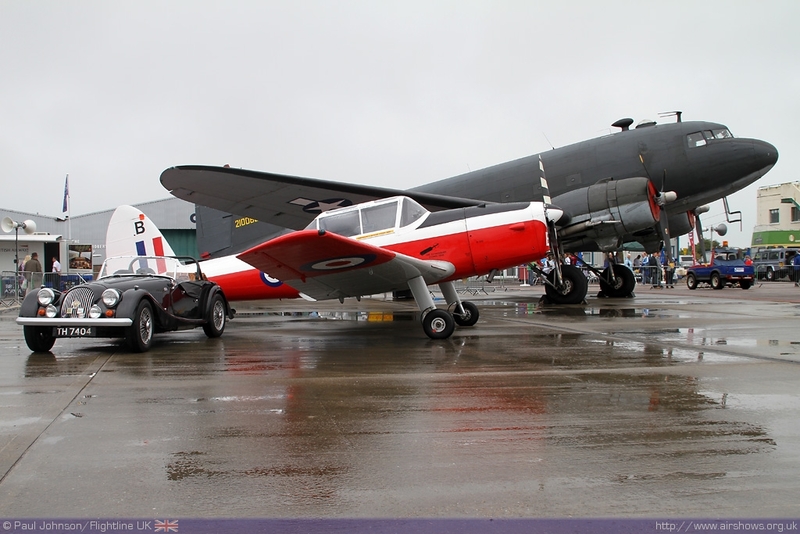 At Shoreham, it was much worse than the Saturday with the cloud base slowly lowering preventing most of the flying. Efforts were being made by teams to get to Shoreham, but they were either forced to turn back or couldn't get away from Bournemouth. 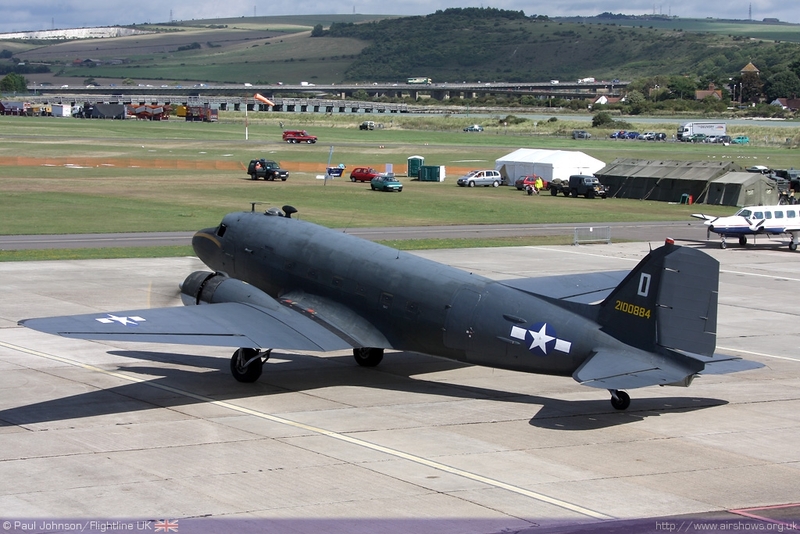 The backs of the Chinook, DC-3 and Catalina again were incredibly busy as the public made the best of the situation. 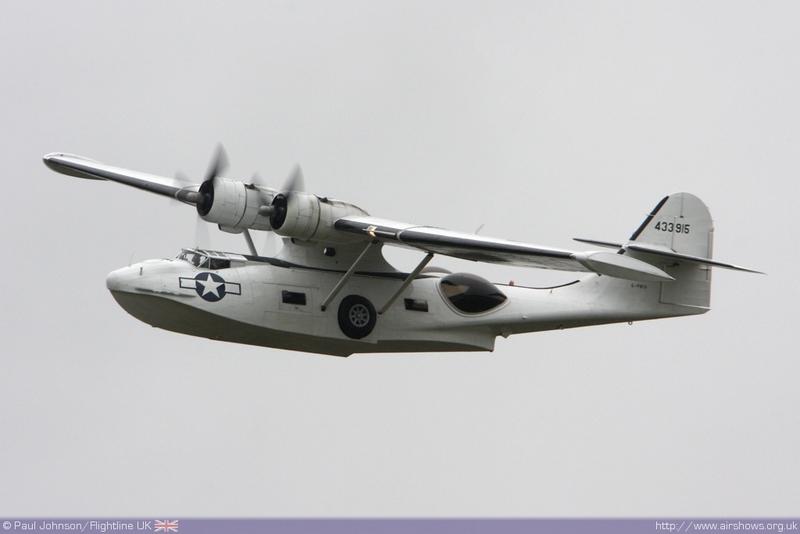 There was some flying however with the Catalina and Harrier putting on displays. 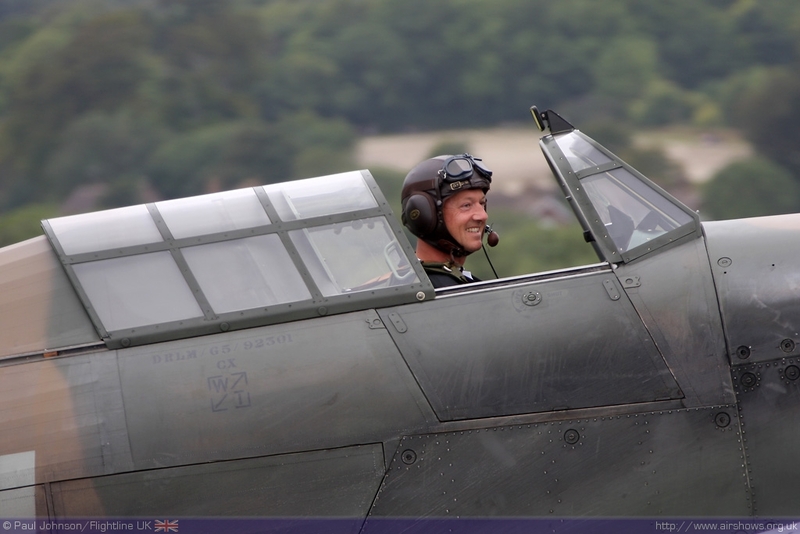 Peter Teichman also took to the air in his Hurricane IIb making some welcome low passes infront of the downs. 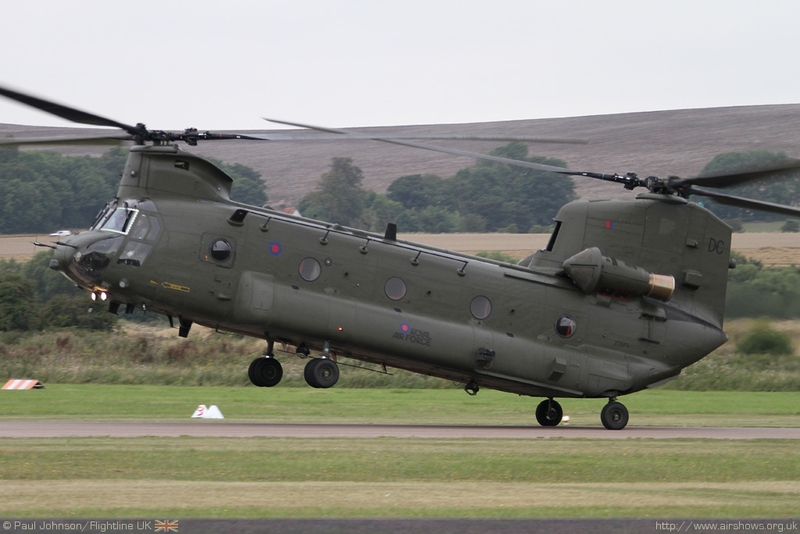 Right at the end of the day, The RAF Chinook HC3 departed with some air cadets for a short hop before returning in dramatic style to offload the passengers and depart to Odiham! The experience of the weekend was pretty deflating for everyone involved. 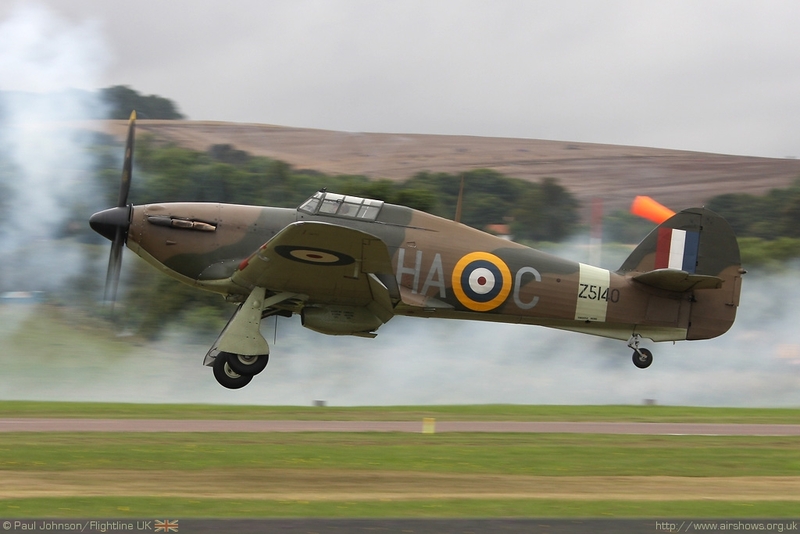 Months of hard work were wrecked by just two days of poor weather which denied the show some very special displays. 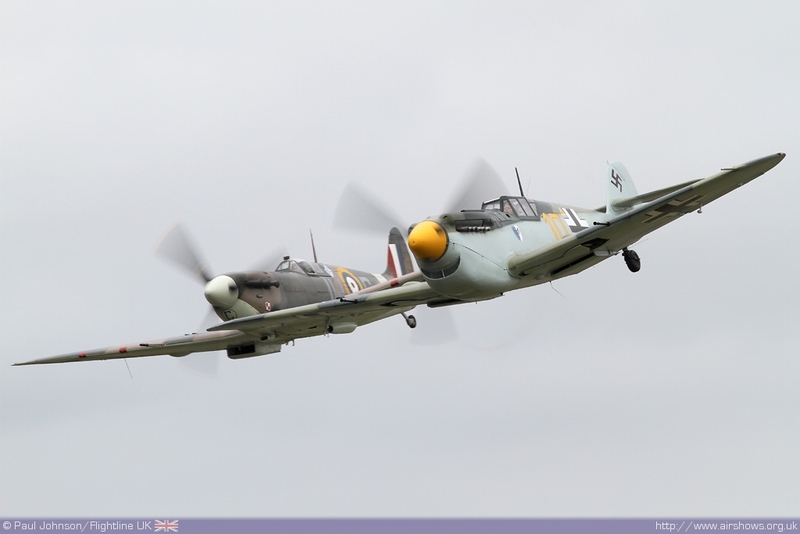 A number of displays had been specially booked to launch the RAFA Wings Appeal and sadly none of them made it to Shoreham. Cruelly, Monday was bright and sunny for the departures. 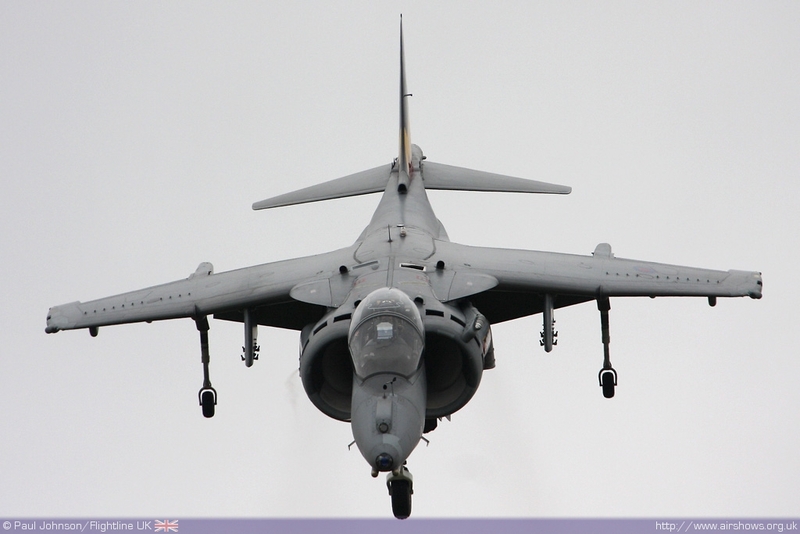 The Terminal was busy again with people watching the departure of the Harriers, Tucanos and the remaining warbirds. 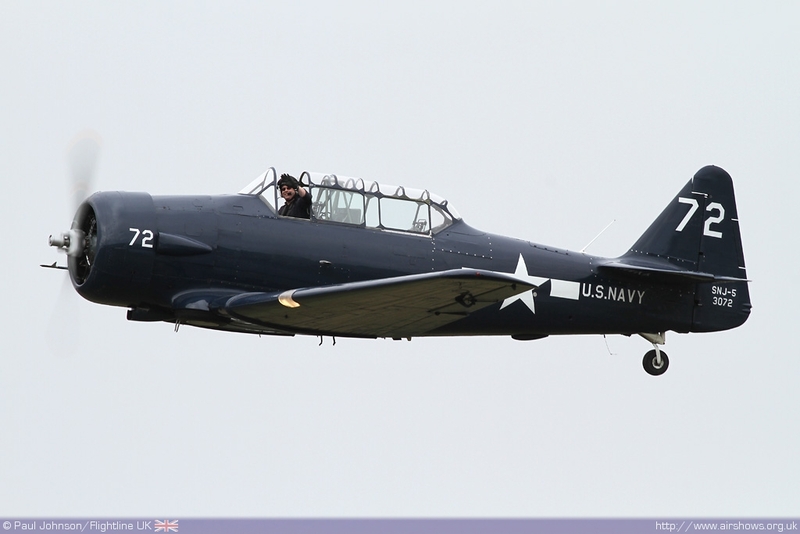 What such a weekend did show however is that airshows are about people every bit as much as they are about aircraft and flying displays. 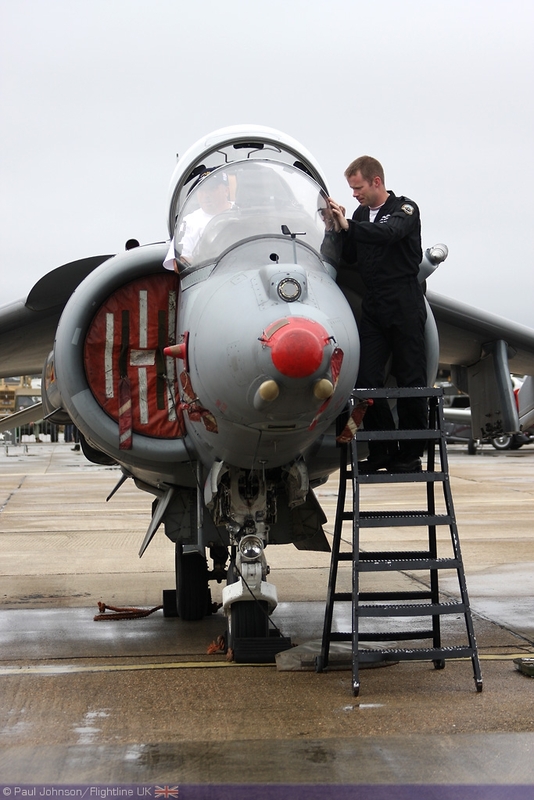 Working within an airshow is a great experience and it's great to share the weekend with friends. 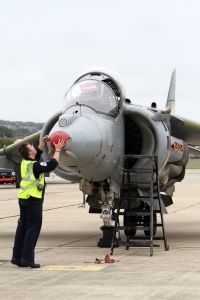 If you get the chance to volunteer at an airshow, do so because you won't regret it!